If you’re updated with technology and social media, you should be well aware of what Facebook’s owner, Mark Zuckerberg, just announced. If not, to sum it up, he said he’s going to do a significant change on the platform – which is good news for everyday users but bad for those who’re into business. Technically, he wants to focus on connecting people back together. 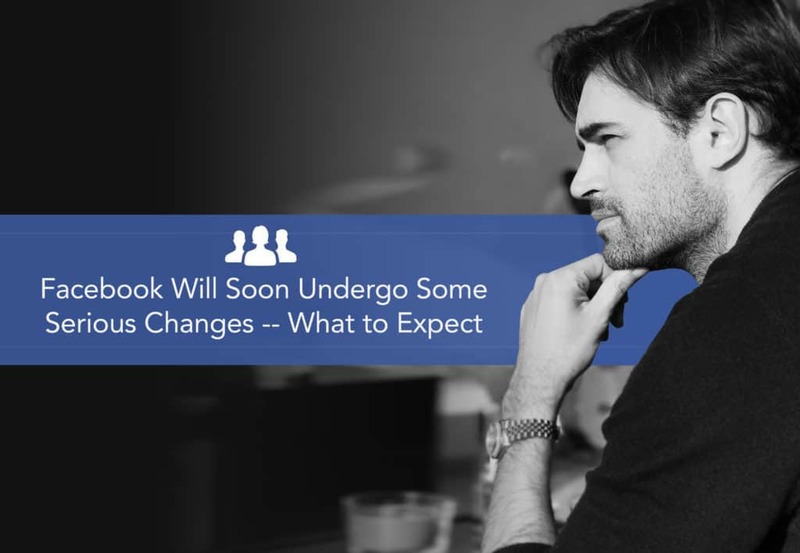 In simpler words, you’re going to see more of what your family, friends, or people close to you are posting and less (super less) content coming from Facebook pages. But Why Need for This Drastic Change? For starters, Facebook’s first or foundational purpose is simple, and that is to connect people. But as years go by and the platform’s monetization methods became more sophisticated, it has somehow swayed further and further away from its purpose. If you’ve noticed, there are now millions of pages for all sorts of businesses and purposes. And in those millions, more than half of them are bad apples. You can spot posts begging or enforcing you to engage, even if it doesn’t interest you in the first place. I’m talking about posts that says “leave a like or comment to win this car” kind of thing. With so many clickbaits, fake news, and the easiness of spreading adult and disturbing videos, Facebook’s quality has dropped from so-so to disgusting. Perhaps, this year, Mark Zuckerberg has finally decided to stop it by performing a total overhaul of their algorithm and system. What’s in It for the Average User? First of all, the users will enjoy more valuable content coming from people they know personally or genuinely admire online. Also, it doesn’t mean you’ll never see ads or content coming from pages again. What it does mean, however, that it’ll become rarer to see one. But here’s the catch, the ones you see should probably be content you’re interested. How About for Users Who Own Facebook Pages? I know this is the part where you’re all excited about, as most individuals who run pages on Facebook are people who own a business. And for business to grow, they need to reach people. However, with the new update, reach has become something incredibly challenging on the platform. First things first, pages are still useful and still serve a purpose. Although they no longer have the same power as before when it comes to organic reach, they still represent a brand. And posts that are valuable will still be visible to people who are genuinely interested in it. But here’s what you need to understand, Facebook’s ad service will still working the way that it is. And to be honest, if you want to penetrate to your target audience faster and more effectively, nothing beats using ads. However, how you set the ads will determine how well the results will be. For now, the best thing to do is to prepare and avoid anything that could put your page into trouble. Avoid clickbait tactics and the likes just to get likes, shares, or comments – go for value over anything else. Thanks Alex for pointing out FB’s main objective in implementing the new algorithm change. Page owners will now be forced to deal with their audiences in real and authentic manner. Hope to read a case study that will show how Page owners cope up with the newest change on FB and how they manage it. Thanks again Alex.